The New Yorker has a list of the top ten tech quotes of 2011. Instead of the usual boring quotes about how awesome a product is, they're insights into the dirty underbelly of the world of technology. I actually worked on a whole bunch of patents in my career over the years and I have to say that every single patent is nothing but crap. A software engineer explains to This American Life that the patents he's been granted over the years are unintelligible lawyer speak. This quote was from the program's investigation into patent trolls. I think it's more like we both had this rich neighbor named Xerox and I broke into his house to steal the TV set and found out that you had already stolen it. What Bill Gates told Steve Jobs after Jobs accused Microsoft of ripping off Apple with Windows. The quote appeared in Walter Isaacson's biography of Steve Jobs. 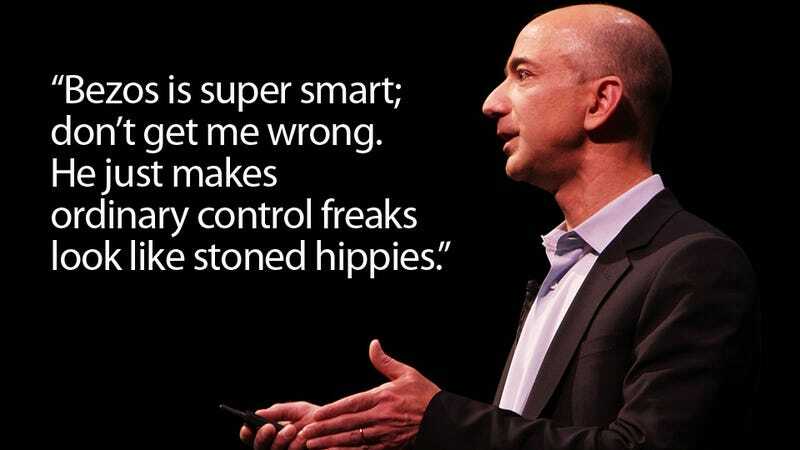 Bezos is super smart; don't get me wrong. He just makes ordinary control freaks look like stoned hippies. Posted to Google+ by a Google employee. The employee used to work at Amazon and had though that he was only sharing the information with co-workers using Google+'s Circles. Whooops.